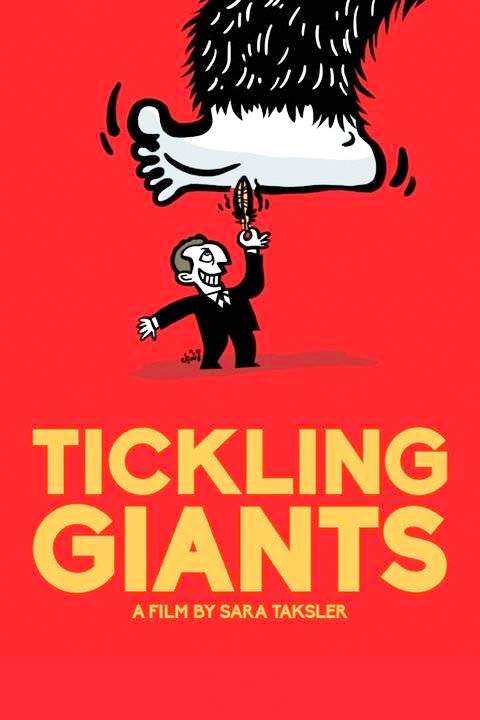 On Tuesday night, Mohamed Hammami ’20 and the Government Department held a screening of the documentary “Tickling Giants,” which tells the story of comedian Bassem Youssef, who created the first satirical news show in Egypt. The film opens with Youssef talking to victims in Tahrir Square after a series of gas attacks by the government. He tends to their wounds while making a series of quips to his crew. There is something deeply comforting about Youssef. He has piercing blue eyes that look through your soul and a smile that makes you want to confide in him. In a moment of sincerity, Youssef addresses the camera. “These people people will not be stopped with gas or bullets,” he says earnestly. Youssef’s career is unlike that of most comedians: he never spent years doing stand-up in dive bars or performing improv to practically empty theaters. Youssef is a licensed surgeon, which he says was his parent’s wish. Youssef found his comedic opportunity at the most unlikely of times: the Arab Spring Movement of 2011. As he healed the wounds of protestors, he realized that he was living in a world with two different realities: the one presented by Mubarak and the media, and the one people actually faced every day. Inspired by this dichotomy, Youssef began uploading short videos to Youtube, videos that gained over 5 million views after only three months. “I was taking revenge against the lies and misrepresentation in the media,” Youssef explained of his project. He became a hero for many Egyptians, continuing his unapologetic satire even under pressure from the Mubarak and Morsi regimes. Public opinion eventually turned once the Sisi regime took power. While many citizens still supported him, many others began actively denouncing him as anti-Egyptian. Facing pressure from the government, the network told him to censor his material. When he refused, they canceled the show. “This show is about holding authority accountable, no matter who’s in charge,” Youssef declared. While he continued his show on another network, Youssef continued to feel government pressure. During one broadcast, the government sent a message by jamming the network’s signal, and filling Egypt’s screens with static. Youssef finally left his show after losing a lawsuit to his former network which stipulated that he pay them 100 million pounds for a breached contract. Worried for the safety of himself, his wife, and young daughter, Youssef fled to America. He continues to speak out against oppression, traveling all over the world to speak at various events. After the film, Professor of Government Emy Metesan led a short Q&A session, much of which was devoted to hearing the opinions of students in the audience. The film resonated with many students, including Hazem Fahmy ’17, an Egyptian native who witnessed the events first hand. “I think the film did a good job representing the rapid militarization that happened almost overnight,” said Fahmy. Melisa Olgun ’20 agreed, comparing her experiences in Turkey with the current state of America. “When people here talk about fake news, they have no idea what they’re talking about,” said Olgun. For those interested in viewing the film, it is currently available in Olin thanks to educational grants obtained by Hammami.